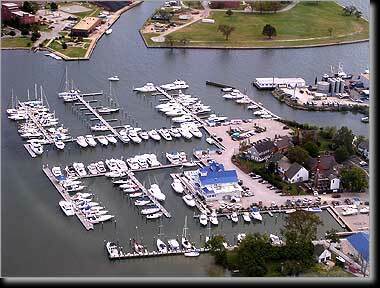 Bluewater Yachting Center is the redevelopment of Hampton Roads Marina, an old marina located at the confluence of Hampton River and Sunset Creek. 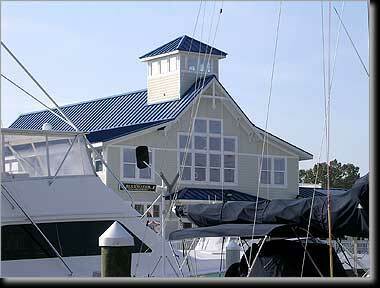 Bluewater Yachting Center was constructed in two phases. The first phase included 120 floating boat slips with a 270-foot long fuel dock, dredging and a new travelift facility. The second phase included an additional 76 slips, boat sales, ships store, a restaurant, and a swimming pool. Tom Langley served as Principal-in-Charge in 1997 when the overall master plan was developed and regulatory permits were obtained. Permitting was complicated by the commercial use of the waterway for barges carrying aggregate to a terminal upstream. Through negotiations with the terminal operator and the regulatory agencies, a mutually agreeable position was reached on channel setback for the fuel dock and piers, and the gas dock was relocated to the shoreline, away from the channel. The marina will focus on the Intracoastal Waterway users and will generate a yacht club atmosphere. 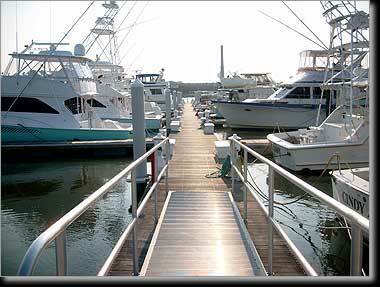 A working boatyard on site, a new travelift facility and the Surfrider Restaurant complement the marina.